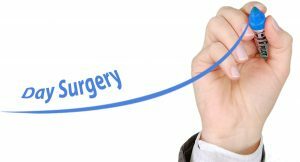 Recent Posts Which Is Better For Day Surgery – Surgical Table or Stretcher? Day surgery, also known as outpatient surgery or ambulatory surgery, has been around informally since the early 1900s. However it wasn’t until the 70’s before the medical community embraced it by forming associations to set guidelines. Still to this day, best practices are being modified to be more efficient and patient centered. One of the remaining inconsistencies amongst day surgery facilities is whether they use a surgical table or day surgery stretcher for procedures. There are pros and cons on each side of the table 🙂 and one solution might not be the best for everyone. In this article, we’re going to take a look at many factors to determine if one is better for you. With a lot of hospitals being pushed to the limits from over-crowding, management is looking for ways to streamline simpler surgeries. The popularity of day surgery has grown so much over the years that some healthcare facilities now allow for 80% to 90% of all surgical cases be on a day surgery basis. Read about how Day Surgery rates in Manitoba have changed from 2008 to 2013. With day surgeries becoming more prevalent, finding the most efficient process is of key importance. As implied by the title of this article, there are basically two platforms that day surgery is performed on: staying on a stretcher the entire time, or being transferred from stretcher to surgical table and back to stretcher. The first thing that comes to mind is patient safety and convenience. By staying on a single platform from start to finish, there is less chance of something going wrong through a patient transfer. Not only are you making it safer and more comfortable for the patient, but you’re also making your process more efficient. The time it takes to transfer a patient does not only include the actual transfer. If you add all of these up and then multiply it by the number of daily caseloads, you might be surprised by how much time is spent on these activities (hint: we calculate it below). In this case, it would be much more efficient to keep a patient on a single stretcher. If you go the route of getting day surgery stretchers, it would be in your best interest to get all the same kind. Getting different brands and models may lead to compatibility issues with accessories. Furthermore, you may have to deal with several vendors if you cannot find one that is able to supply all. The upside to standardizing is a much better price point for each stretcher. Buying bulk may give you increased purchasing power. On the functional side of things, your staff will not have to worry about the different operational technicalities of different brands. The potential downside to standardizing is that you are stuck with whatever you get for quite some time. Major due diligence would be required before making the purchase. If you’re buying a dozen day surgery stretchers, chances are they’re not all going to get to the end of their life cycle at the same time. So you may only be replacing two or three out of twelve, which makes it hard to switch to a different model over time. One patient equals one stretcher. While you may have to invest in a few more stretchers, the upside is that you don’t have to invest in a surgical table or recovery room furniture, such as recliners. You would definitely have to do a cost analysis that details how many cases your facility performs daily. For example, if you do 20 cases per day in 4 rooms, to keep your workflow moving you would probably want to have 8 day surgery stretchers. This would eliminate the need for multiple surgical tables, transfer devices, transport stretchers and recovery furniture, but may also be a higher initial cost. There’s always more than one side to every story. Using a surgical table for day surgery has its benefits too, depending on circumstances. Day surgery has typically always been done on surgical tables. Only in the last few years have day surgery stretchers really come on the market. Most of your surgical team will already be very accustomed to the nuances and technical operation of the tables at your facility. Using stretchers for day surgery means that you will have to have one stretcher per day surgery patient. Having a surgical table means that you can cut down on the number of stretchers you have, but you would need to maintain a certain number of recovery furnishings (unless of course, your stretchers serve this purpose). Either way, you would need to figure out how many surgeries are being performed per day and how many are occurring simultaneously. This is such a major issue, so we figured we’d repeat it for surgical tables. Caveat: if your patients walk in and walk out of the procedure this doesn’t apply. With surgical tables, you have to make two to three transfers, depending on your process. That is two to three times the risk of something happening. Transferring a sedated, post-op patient is not easy. Things can go wrong. If things go wrong, there is liability. 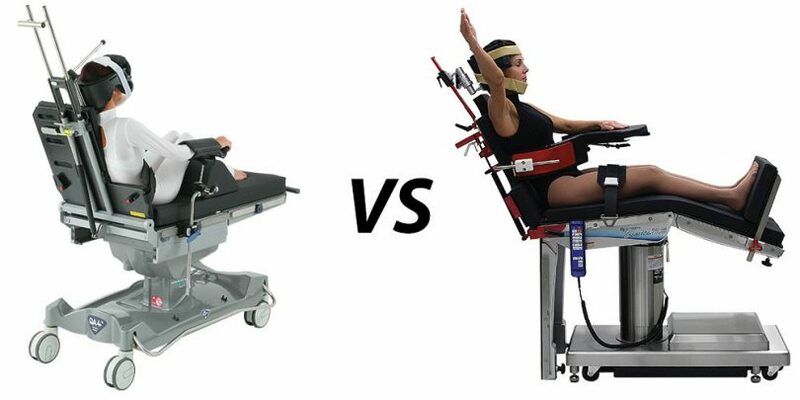 After your extensive cost analysis (tables/stretchers/recliner vs. day surgery stretchers) if you figured that you’re saving $20,000 by going the surgical table route, ask yourself how much money it will cost if something goes wrong with a patient. It’s not just the liability of a patient suing for damages. Even if they don’t, you would still have a problem: something broken, injured staff member, etc. You may have to deal with a readmission that could have already been discharged. The list of consequences could go on and on, but you get the point. Putting that all aside, there’s still the issue of efficiency. Our example: 20 surgeries per day and two transfers per surgery. To make this easy, let’s say that each transfer takes 5 minutes. This includes the time it actually takes to transfer the patient; retrieve, clean and store the transfer device; notify and gather the proper staff. In one day with 20 surgeries, your staff allocated 3.33 hours to patient transfers. Hopefully no one strains their back during all these transfers! There are other considerations for determining if a stretcher or surgical table is a better fit for your day surgery program, but you will definitely have a good starting point with what we’ve covered in this article. Remember, day surgery is becoming more important and popular. According to a report by the Canadian Institute for Health Information (CIHI), day surgery increased by over 30% from 1995/1996 to 2005/2006. Now the question becomes, are you doing all you can to maximize efficiency? 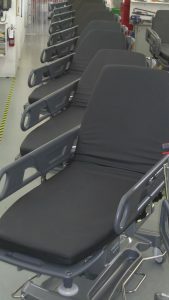 Meditek is the exclusive Canadian distributor for the QA Series stretchers. The QA4, in particular, doubles as a stretcher and surgical table. The QA4 offers full C-Arm access, top slide and a 550 lbs patient weight limit. Additionally, Meditek is the exclusive Western Canadian distributor for Skytron. 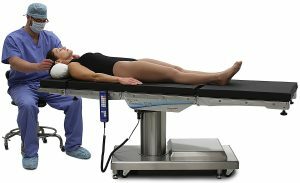 Skytron surgical tables are considered to be some of the best on the market with many unique features, such as most top slide and tabletop rotation. As a remanufacturer of all surgical table brands and models, Meditek can also offer as-new surgical tables for significantly less than the cost of buying new. Each ReNew table comes with a standard two-year parts and labour warranty as proof of quality. Get in touch with our Meditek experts to learn more about our day surgery options. i am interested in this equipment how do i go about it ?? Hi Donald. Thank you for your comment. You can email us at info@meditek.ca with a list of equipment you want to purchase, and we’ll get back to you asap. Thanks again!